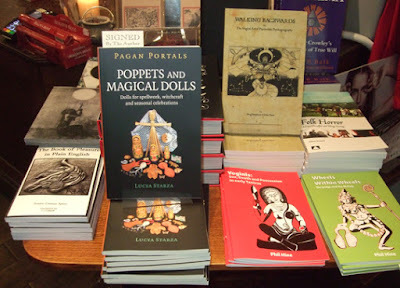 Here are photos of my latest book, Pagan Portals - Poppets and Magical Dolls, going on sale at Treadwell's in London and me signing copies in the shop. Despite the hot weather, which meant travelling into London by public transport wasn't exactly pleasant, I had a nearly full turnout for my poppet-making workshop and my class was lovely. People stayed around afterwards to chat and drink cold lemonade at the book signing. 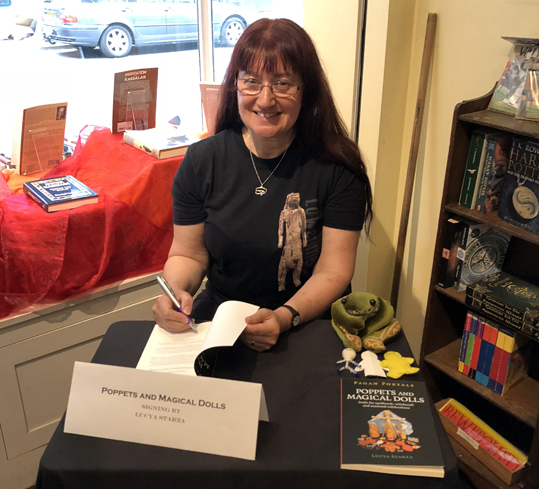 We were joined by others who had popped in to say hello and to get one of the very first copies. The official publication date is in August, so this was a chance to get the book before it goes on general sale.